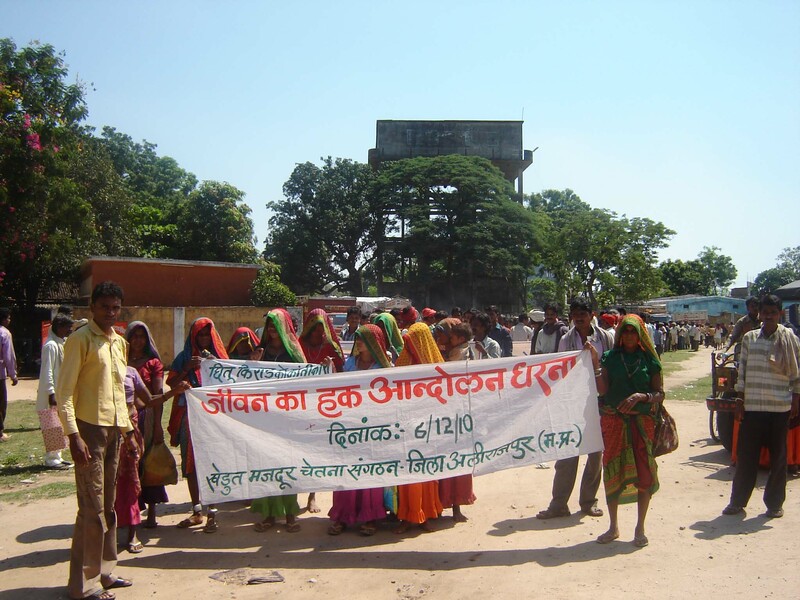 The Dhas Gramin Vikas Kendra is engaged in mobilisation for rights and community development among the Bhil Adivasis or indigenous people since 1982 in Alirajpur district in the state of Madhya Pradesh in India. Formal registration as a public trust took place only in 1987 once the people of the area were aware enough to understand the importance of registration. There is also an eponymous consultancy firm that undertakes development research and implementation projects on a commercial basis. The organisation works in tandem with two other sister organisations called the Khedut Mazdoor Chetna Sangath, a membership based trade union and the Kalpantar Shikshan Kendra a registered society. The Bhils have not only fought in an organised manner, both locally and through networking at the provincial, national and international levels to get access to and control over natural resources but have also cooperated to conserve these resources, improved the quality of their agriculture and enhanced their livelihood opportunities. Simultaneouly this conservation has contributed to mitigation of climate change through an increase in forests and availability of water which has then been tapped using traditional water harvesting systems leading to a lesser use of artificial energy for irrigation. All this has been achieved by adhering to the prevailing legal system and also by networking with other organisations to bring new legislation in the form of the Panchayat Extension to Scheduled Areas Act (PESA) and the Scheduled Tribes and Other Traditional Forest Dwellers (Recognition of Rights) Act (Forest Rights Act) to formalise these communitarian and conservationist efforts on a larger nationwide scale. The uniqueness of this mobilisation is increased by the whole hearted participation of women in these efforts thus doubling the social energy involved in them. Women have also succeeded in reducing the patriarchal oppression that was traditionally a part of the Bhil tribal society through their greater participation in social, economic and political activities. This mobilisation effort thus synthesises the traditional small community cooperation of the Bhils with the legal, political and economic systems of a modern democratic state to evolve a liberating framework of action and conservation that is both equitable and sustainable. The organisation is committed to establishing a modern Adivasi Millennium that can offer a sustainable alternative to the whole of humanity. The organisational mission is to mobilise the Bhil tribal people locally and network at the provincial, national and international levels to get access to and control over natural resources and also cooperate to conserve these resources, improve the quality of their agriculture and enhance their livelihood opportunities. The whole hearted participation of women in these efforts doubles the social energy involved in them by reducing patriarchal oppression and helps in the evolution of a liberating framework of action and conservation that is both equitable and sustainable.